There are many mysteries of nature and humanity that we just can’t explain – such as the origin of Stonehenge or why earthquakes produce lights in the sky. 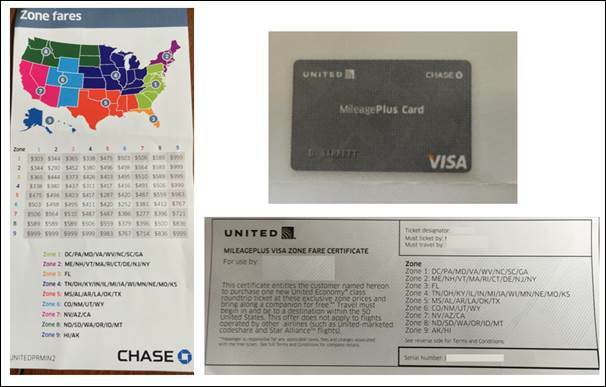 As far as I’m concerned we have one more item to add to the list – why do US airlines consistently lie to their customers? As a person who has been flying for business for most of my adult life I can absolutely bear witness to this phenomenon. It’s not just a lie here or there – it’s a culture of dishonesty that permeates every aspect of the entire industry – and is continued today without shame or embarrassment. It’s impossible to take a US commercial airline flight today without being lied to at some point during the experience. Sometimes the lies could be considered ‘little white lies’ – like the flight attendants that tell you your flight is full regardless of whether or not it is, or their claims that “federal regulations” require passengers to do one thing or another when no such regulation exists. In other service industries, management is keenly aware of how their customer facing employees act – and would step in with corrective action if false claims were endemic to the customer experience. In the airline industry it requires a public social media avalanche to take action against a dishonest employee – and the action is in response to the public outcry, not any concern about the airline’s actions – just damage control. 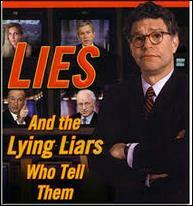 The daily, routine lying is unfortunately just understood and accepted. 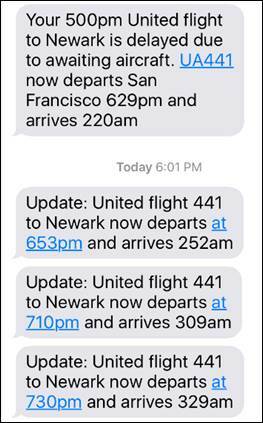 Airlines’ flight operations teams are also pathological liars in the customer facing communications they generate. I recently was flying to my home airport (Newark) after spending a week at a conference. United 441 was supposed to leave SFO at 5pm Pacific Time. It was being served by an aircraft that was supposed to leave Newark for SFO at noon Eastern Time. By 3pm ET the aircraft still hadn’t departed. (It was one of the specially configured “PS” airplanes, so the odds were low to non-existent that the airline would replace it with a different aircraft.) Regardless of that, a check of 441’s status at mid-day showed that it would still leave on time – over one hour before the arriving aircraft would even get to SFO. It wasn’t till 2:15pm PT that United indicated 441 would be “delayed awaiting aircraft.” Nay-sayers might claim that this is not a lie – not an action by a person but just rather how the computers are set to work. Discounting for a moment that such a problem could/should have been fixed years ago, it also doesn’t hold up to scrutiny. At 2pm PT the expected arrival time of the incoming aircraft was 6:15pm. At 2:15pm PT the first delay notice was sent – indicating a new departure time 6:29pm. Really? A 757 would land, deplane, be cleaned and catered, boarded and take off in 14 minutes? Anyone who’s ever taken a commercial flight knows the person (not a computer) sending that message was lying through their teeth. Rather than post a realistic new time of departure the airline’s operations team feels it will ease the impact if they lie about a late aircraft and just increase the delay every few minutes. See below for a picture of the ensuing notices. 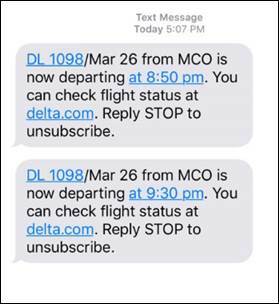 And just to be sure people don’t assume this is a just a United problem, next to it are similar notices from a friend flying Delta just today. How can we – the flying public – stop the culture of airline lying? I covered a lot of that in my past blog “Time To Take Back the Sky.” It will require the US government to re-regulate the airline industry – something the current gridlocked congress will never do. However, this is an election year, and a very weird one to say the least. It’s not that far-fetched to believe that enough politicians will be thrown out to break the gridlock. Add to that the fact that senators from both parties have recently spoken-out against the terrible treatment of passengers by the airlines – proving awareness – and we just may see some progress stopping the liars. If not, US airline management may just hire Joe Isuzu to start a Frequent Liar’s program and give points and miles for outrageousness.